New build on site of former Loughborough Hospital, Baxter Gate. This section now a Nandos restaurant. 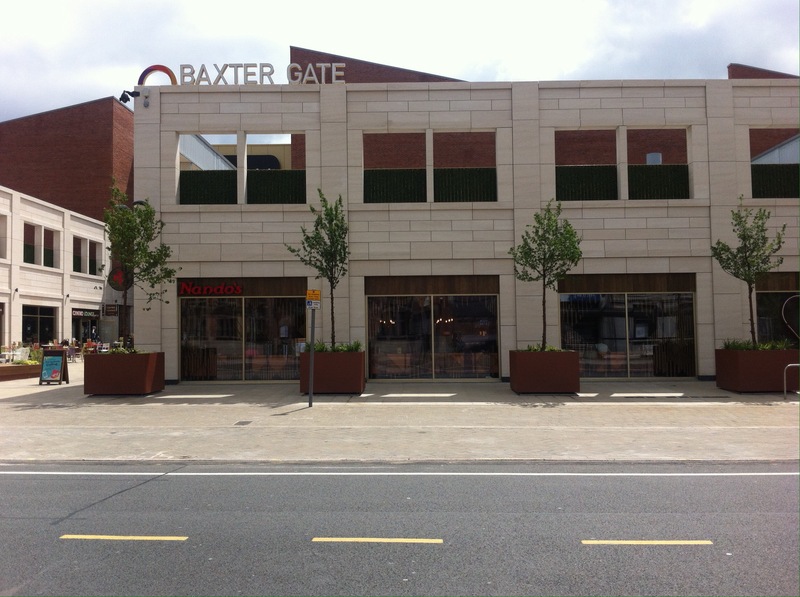 This small leisure development has a number of restaurants, with outdoor eating and a cinema.